July 4th Fireworks Spots for New Yorkers! YAY! It’s July 3rd, which means we are 1 day away from July 4th! YIPPEEEE! And for another celebration, today marks the official 3 months since my relaunch on April 3rd! It’s been a journey with lots of ups and downs and my life hasn’t been the same since I decided to take this route. Not to mention, it’s also my birthday month so you’re going to be in for plenty of surprises and giveaways this month! Be sure to subscribe and follow to get the latest updates! You wouldn’t want to miss it! So back to celebrating July 4th again! It’s Independence Day and a major holiday in the U.S and what do we celebrate with? BBQs, Beaches, and Fireworks! Duh! Well I’ll be making suggestions to some awesome fireworks events in New York for July 4th! A couple years ago, they used to have the fireworks by the Hudson River, so I loved to go to the Jersey side at Fort Lee to watch it, plus get away from the city crowd. Unfortunately, recent years, they’ve been having it down at the East River, so I’ve been a bit stuck on plans. So let’s see what options we have! So fireworks is the major star of July 4th correct? Let’s talk fireworks. Macy’s Annual Large Fireworks display will be down at East River as fore mentioned and spreads between 24th to 41st street. It starts at 9:25pm and lasts for roughly 25-30 minutes. Front row seat areas would be Midtown, East Village, Long Island City, Greenpoint, or Williamsburg. The “official” viewing points are: 42nd Street and FDR Drive, 34th Street and FDR Drive, 23rd Street and FDR Drive, 18th Street and Avenue C, and Houston Street and FDR Drive – but they’ll likely get crowded quickly. Check CURBED NY for a detailed list! You may even want to check TIME OUT NY for a second option or REFINERY 29‘s opinion. Jersey City will also be displaying fireworks for their 4th Annual Freedom & Fireworks Festival at Liberty State Park where you’ll get waterfront view of NYC. It’s an all day event from 1pm to 10pm. There will be live performances, carnival rides, food and drinks, and of course fireworks! If you’re craving a beach location. Coney Island is a good one. You’ll get live music, fireworks, food and drinks. There’s a party going on there all day, but the fireworks showing starts at 9:30pm. I hear the best viewing location is: The Steeplechase Plaza and the Coney Island Boardwalk. If you’re searching for a beach that’s more of a trek from the city to get away from the usual crowd, I would suggest Jones Beach. It’s a bit far, but the beach is much cleaner than Coney Island. They still have a load of fun and the fire works set to patriotic songs begin at 9:30 as well. Their tip is to arrive early for a prime seat on the Field 4 beachfront and to avoid traffic delays. Oh and if you’re still stuck on what to wear? May I suggest something casual? 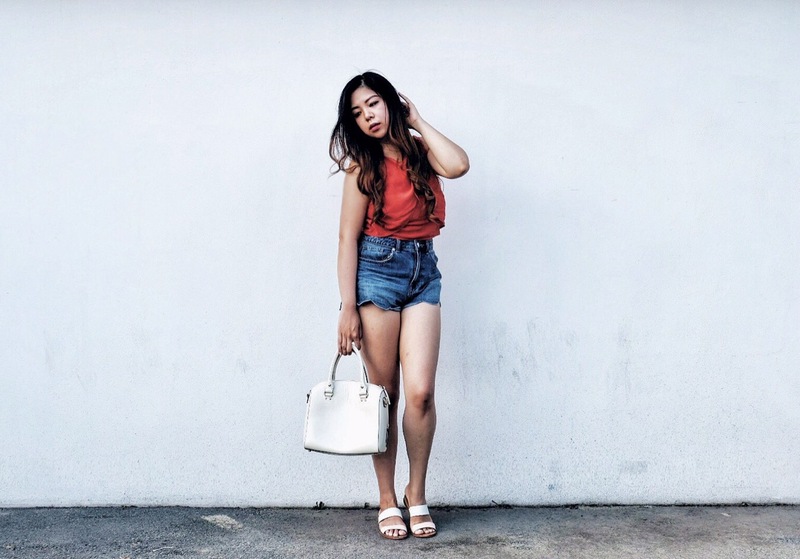 I love denim shorts paired with something simple reds and whites for the festive look! Well… That’s it for now. I have yet to decide on plans and it’s barely 24 hours away! Hope everyone makes great plans and have an awesome load of fun! Cute outfit and I adore the purse. Where I live, you can’t see fireworks and have to go to a larger town. But I do watch them on tv. New York does have some beautiful fireworks. July 4 looks like an important date. This same week also my dear birthday. I like your casual style, I agree wearing casual is easier and simple. I have not been to Coney Island before. Your photos are beautiful. Thank you! I hope you had a happy bday! I look forward to being in NY for the 4th next year. I’ll be checking out these firework spots! BBQ’s,beaches, and fireworks are the best way to celebrate this country’s freedom. That’s great! I hope you have a great time next year. Awesomeness to look forward to! great idea for a post. I am sure the local New Yorkers and certainly, the out of towners, will really appreciate the ideas. Have a great holiday! I love visiting New York and it would be so much fun to be there for July 4th! I would really love to attend the fireworks display at Coney Island, it sounds like a perfect location to me. Yes! It’s definitely a popular location. I wish we were in NYC for the 4th. Instead South Florida will have to do. Have a safe and fun holiday! Have fun watching the fireworks in NYC, that sounds fun! And I’m sure you will look amazing in no matter what outfit you wear! 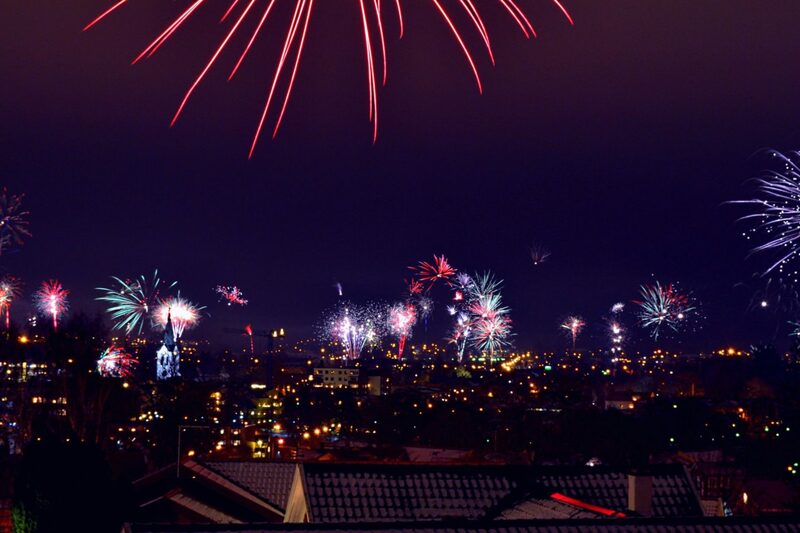 It sounds like you have the most amazing time on the 4th July with the fun, food and fireworks. I love your outfit as well, the handbag is amazing. Happy 4th of July! Event like so wouldn’t be complete without fireworks. Love the cute outfit! I must admit that I am a little bit jealous. My kiddos and I were supposed to be in New York City right now but our plans changed. Aw there’s always next year! Hope you had a good one, regardless. Happy 4th July! Your outfit looks cute. I love that it is in keeping with the holiday! Happy 4th July! I love those white sandals, got to have one pair for me too. Happy 4th July, babe! Love your outfit! You look stunning in your outfit. 4th July is a day people always look forward to. I really need to go to the US on 4th July one year to witness the celebrations, it always looks like so much fun! Yes I didn’t do much until fireworks showing either! Happy 4th of July…Great post! I watched NYC on TV, wow what amazing fireworks they had! some great spots to visit. I would love to see the 4th from NYC! These are great options! I would love to catch the fireworks in NYC one year, they always look incredible. We missed the fireworks this year. It is just so late with a toddler. I bet those are incredible locations to watch. Next time! I’m sure your toddler will enjoy it as well when he/she gets older! Love the denim shorts! They are so versatile and can be dressed up or down!! We don’t really celebrate the 4th July, but it always looks like you have so much fun. Yes definitely. I love casual chic! One of these days I will make it to New York for either the 4th, NYE or Thanksgiving. This is such helpful information! That’s great! I hope you have lots of fun. Feel free to reach out if you want recommendations for those dates during the time! I love the simple look you sported for 4th of July celeb! Love that burnt orange top! What a handy guide! I wish someone would have done that here! I still get excited about fireworks. I just don’t like hearing it at 3am wayyyyy after july 4th lol!